Did you know: the majority of people who are blind or visually impaired are unemployed or underemployed? Stigma and misperceptions about blindness lead many to marginalize and exclude this highly capable population. 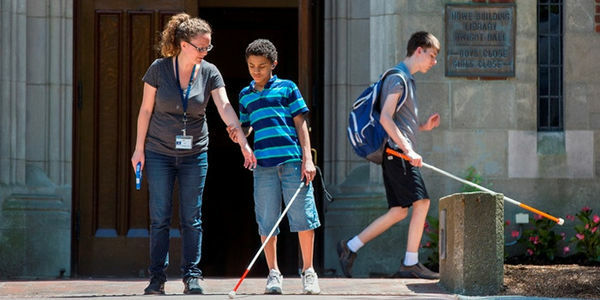 There are nearly 700,000 children and young adults who are visually impaired in the United States. At Perkins, we work to empower and open doors of opportunity for children and young adults who are visually impaired. Our work goes beyond preparing people who are blind for the world – we are also preparing the world for people who are blind. We know that being blind isn't the biggest obstacle – it is a world that cannot see beyond it. YOU are part of the solution. Pledge now to stop the stigma that lead many to marginalize and exclude people who are visually impaired and make the world a more inclusive place.